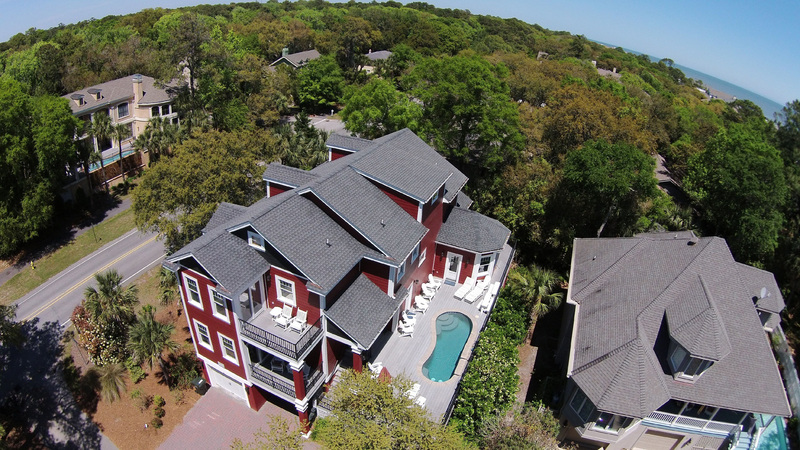 Custom-built 4 bedroom plus den, 4.5 bath house with private *heated pool is in the North Forest Beach area of Hilton Head and is a quick walk to the beach. You be wowed by the bright décor and designer furnishings. The master suite with private bath is just off the open living room on the 1st floor, as is a half bath and access to the swimming pool. The kitchen has a breakfast area with large bay window and is fully-equipped with state-of-the-art appliances. On the second level are 3 more bedrooms plus a sleeping den. The first bedroom is equipped with 2 queen beds, while the second bedroom is outfitted with **2 Queen Bunkbeds with and twins on top which can now accommodate 6. Next to this room is the second master suite with private bath. The den is outfitted with a queen size sofa bed and TV/DVD combination complete with an X-BOX. There is also a second laundry room on this level. In addition to these amenities, you will find in both master suites 2 custom made built-in cribs for the babies in the family. 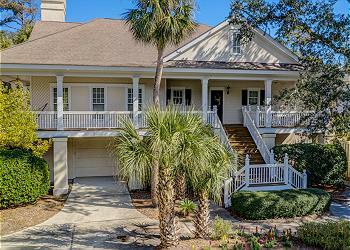 With everything that this house offers, you will never want to leave! •	Public beach access is located at the end of Curlew Road.